Note: Information in italics is particularly subject to change. Reflect and report on the technical and market trends and emerging professional practice in software (particularly web) development issues. Teaching normally consists of a combination of lectures and practicals. For the first several weeks, we will have 2 hours of lecture. For the middle weeks, we will have 1 hour of lecture and 1 hour of practical. For the last weeks, we will have 2 hours of practical. Students must attend the lectures and the practical. Formal lectures will provide theoretical underpinning for all learning outcomes. Practical sessions will consolidate lecture content and provide opportunity for students to practise their design and programming skills, supporting all learning outcomes. Students are expected to read extensively and practice their programming skills in their own time. Students should not attempt this course unless they meet the programming prerequisite. A reading list is available. At end of unit. Official examination timetable available from the Admin Office. 90 minutes duration. Closed book. The exam consists of 6 or more questions. You must answer 3 questions. Note that the exact content of the unit varies from year to year. 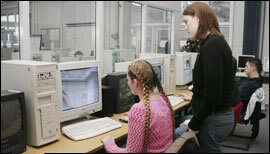 During teaching block 2, all students will do an individual web development project using Java EE. More information will be available. The final submission date for the individual element will be Monday 6th May 2019 with a mandatory peer-assessment session on Tuesday 7th May 2019, but there are intermediate deadlines along the way. No formal arrangements. Students can discuss issues that arise at any time with the staff responsible for delivering the unit. Students will be invited to complete a course evaluation questionnaire at the end of the course. Last year's feedback can be found here. The enterprise web programming units include some material that was formerly part of the WEB1P and WEB2P units.